Looking for the best ways to make money online? Want to build passive revenue and stop chasing clients? In this case, affiliate marketing might do the trick! Some of the best bloggers in the world make a whopping $140,866 per month. A large part of their earnings comes from affiliate marketing. Even if you can’t expect to earn that much as a newbie, it’s something you can achieve in the long run. Hard work, persistence and patience are the keys. First, let’s see how affiliate marketing works! What’s Affiliate Marketing All About? Nowadays, the Internet offers plenty of opportunities to make money online. From blogging to selling eBooks and courses, there are endless ways to supplement your income. Affiliate marketing has emerged as one of the best ways to earn revenue. At the most basic level, it involves promoting other people’s products for a commission. Currently, over 80% of brands worldwide use this method to increase revenue and attract clients. Not to mention the thousands of small businesses that work with affiliates. Let’s say you’re running a fitness blog. Go online and search for companies in the sports industry. Pick one or more that will appeal to your audience. Check if they have an affiliate program. If not, contact them by email and ask about it. Or you can join Amazon, Clickbank, Commission Junction, and other affiliate platforms featuring offers from businesses in every niche. For instance, you can promote resistance bands, fitness apparel, or diet books. Simply place a banner or better, write a post on your blog to show readers how the product works. With affiliate marketing, you’ll earn a piece of the profit for each sale you make. This can be one percent, five percent, 10 percent, or more. In case you don’t have a site or blog, you can promote products on social media. Actually, this is how many Instagram models make money online. Once they reach a few hundred followers, they start marketing products on their page. Now that you know how affiliate marketing works, you might be wondering if it’s right for you. Contrary to popular belief, this method isn’t easy. It can take months or even years to generate steady revenue. However, if you’re good at it, you may start making money from day one. Be prepared to invest time and effort into it. For example, many affiliate marketers who make thousands of dollars spend a fortune in advertising and content writing. Success doesn’t come overnight. If your site or blog gets massive traffic, it should be easy to monetize it. If you’re just getting started, it’s a whole different story. 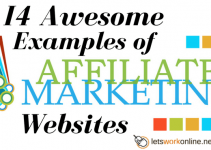 Before going any further, let’s see what makes affiliates marketing so popular. As an affiliate marketer, there are countless opportunities to make money online. Compared to other income streams, this method has stood the test of time. It has unique benefits that set it apart. First of all, it’s convenient. You don’t have to invest time and money to create your own products. As an affiliate marketer, you promote other people’s work. Secondly, most affiliate programs are quick and easy to manage. Just sign up for an account, pick your favorite product or service, and then advertise it on your site or social media page. Thirdly, there are millions of products and services that you can promote. It doesn’t have to be a popular niche. You can choose just about any type of product, from gadgets to marketing books. This guide to making money online goes through the different steps involved in affiliate marketing and also explains some other models for earning money online without a website. Another great thing about affiliate marketing is that most times, you don’t have to create advertising materials. In general, companies provide everything you need to market their products, from text ads to banners and links. This means it’s not necessary to hire a web designer or create your own graphics. However, you still need to put some effort into it. Write product reviews and newsletters, test the product yourself, and keep your prospects engaged. Additionally, affiliate marketing requires very little in upfront costs and no sales staff. You will need to create a website which means you will have to get hosting and buy a domain name. Hosting costs as little as $4 per month and a domain name $13 per year. Once you sign up for a program, you can make money online right away. These affiliate programs or affiliate networks are free to join. Beware that some only accept partners in the same niche. Others require marketers to have steady traffic or a solid social media presence. The more popular your site is, the higher are your chances of success. Whether you’re a newbie or an experienced marketer, you can earn money online as an affiliate. The right niche can make or break your business. Don’t choose a niche that’s too broad where you try to help everyone. If you specialize in one area you will be able to stand out and offer more value to your readers. When you’re starting your blog it’s best to write about a subject you know and are passionate about. This will enable you to write content that is engaging and more helpful to your readers. Before choosing a niche, consider your readers, industry, and overall tone of your site. You should focus on an ideal customer base. Although this may be a small group, you’ll be more successful converting this small focused audience into actual customers than if you try to market to a massive audience with limited interest. You should only promote products relevant to your niche. For instance, if your website is about cars, it doesn’t make sense to promote wedding dresses. Look for affiliate programs that feature car parts and accessories, or something similar. Some niches are more popular than others. The fashion, sports, and health industries work best for affiliate marketers. The art, jewelry, and vision care niches are at the opposite end. Fashion products, for example, account for 23.27 percent of affiliate revenue worldwide. Luckily, even if you don’t have a fashion blog or a health-related blog, you can still get into these niches. A marketing website could promote business suits or accessories targeted toward professionals. If you have a recipe blog, you can promote health-related books or wellness programs. The whole point is to choose a niche that your readers can relate to. Otherwise, they won’t be interested in the products you’re promoting. Some include all types of products and services. Others focus on specific niches, such as health or software. MoreNiche, for instance, is one of the largest health affiliate networks in the world. Established in 1999, it features popular merchants, such as CrazyBulk and NiacinMax. Once you sign up, you can place banners and links on your site. Another great choice is Viglink. This service scans your blog for any mention of a product and turns it into an affiliate link. If you’re running a financial website, check out ReviMedia. This network is home to over 2,000 merchants in the financial and insurance niches. Avangate appeals to marketers in the software business. It features more than 4,000 brands that you can promote, such as HP and Bitdefender. With eBay and Amazon Associates, you can advertise just about any product available on these platforms. On top of that, you’ll get access to a wide range of banners and types of ads to place on your blog. To find individual programs enter the “product name + affiliate program” or your “niche + affiliate program” into Google and you will see the relative affiliate programs. Just posting an ad on your site or Facebook isn’t enough to make money online. You must take the time to promote your offer and give customers a reason to buy. Get creative and make a plan for growing your affiliate business. For instance, if you’re promoting a marketing eBook, write a compelling post on your site. Tell readers how that book helped you get a better insight into marketing. Share your experience and provide some tips from the book. Try not to be overly-promotional. Use a casual tone and make sure your content flows smoothly. Add relevant keywords to drive traffic and help people find your post easily. Don’t write the post just for the sake of it. Make it useful and relevant to your readers. Focus on quality, not quantity. You’ve created some great content, now you want people to see it! Some affiliates use Pay Per Click which can be a great way of getting people to your offer but can get expensive if you don’t know what you’re doing. A much better idea is to get organic free traffic to your website. You will need to learn the basics of search engine optimization to do this. Of course, this will take longer than the paid methods but you won’t be giving all your profits to Google AdWords or others. Share your post on social networks and chat boards that relate to the topic. For example, if someone on Quora asks about the best marketing books, leave a comment that provides value to the conversation. Include a link to your post. Unless your site has thousands of monthly readers, you won’t make money online right away. Be patient and set realistic goals. It takes time to build a successful affiliate business and earn a steady income. It doesn’t happen from one day to the next. There is no one-size-fits-all solution to make money with affiliate marketing. You have to constantly assess your options, switch platforms, and try new products. You will have many moments of doubt when you think nothing is working or no one is visiting your blog. This is normal, many who start in affiliate marketing give up much too soon. Remember this takes time! Continue working on your website and keep an eye on your analytics. Little by little you will see more visitors and then you will start making sales. So, are you ready to take the plunge and get started with affiliate marketing? Take baby steps toward your goals and plan everything ahead. If you’re not confident of doing it on your own there are online affiliate marketing courses that can help to get you started. With hard work and commitment, anyone can make money online. Affiliate marketing is just one of the many income streams available. If it doesn’t work for you, try something else. 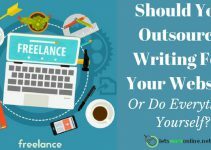 Blogging, freelancing, online tutoring, and e-commerce are popular options among those looking to start an online business. The choice is up to you. As you have read in this post, affiliate marketing is not an easy job, especially when you’re starting. Something that could make building your business a lot easier is some training that can get you started for free. This is how I got started and learned all that I know now. The amazing training I followed was at Wealthy Affiliate and I have no hesitation in recommending this as the best affiliate marketing training available. I have tried other training platforms, but find the training at Wealthy Affiliate to be the best. Unlike many other platforms, they provide everything you need – tools, training, and support in one place. They perform regular updates and additions to the system to keep all the lessons up to date. You can join for free and go through the first lessons to see if it’s a good fit for you. Then after your initial steps decide if you want to go further. This isn’t a get rich scheme it will take hard work and patience! What are your favorite ways to generate income online? Have you ever run a digital business? Share your experience below! Thank you so much for this information. I have been reaching and thinking about becoming a drop shipper but felt unsure about taking that leap, until I read your article. Feeling better about maybe doing it. I’m going to do more research. Thanks for sharing this valuable information with us. I was looking for such kind of post. This is quite impressive and informative. Actually i have a aim to earn handsome income via niche affiliate marketing that’s why i am searching some informative sites only for this purpose just like yours and this one also revglue(.)com/blog-detail/29-how-to-make-money-everyday-with-a-niche-affiliate-website. Few days before my colleague recommend me this site its a UK base register affiliate site which is providing everything on a single platform and i am also thinking to use it . What you say ? If you have any idea or experience about this site please share with me this will help me a lot thanks. Thanks for your comment. I am not familiar with revglue.com but I just had a look at their website and quickly read the article you mentioned. They could well be genuine but one thing I didn’t see was any mention of how you will get traffic, which is vital if you want to make money from a website. If you want to create an affiliate marketing business I recommend that you have a look at Wealthy Affiliate, it’s the best training I have found and you can join for free. Once you join, have a look around, create a free website, follow the first 10 lessons and decide if it’s for you. If you don’t want to carry on just leave, it’s a simple as that! Or if you like what you find there is a paid option to get the full training. Regarding a drop shipping business, these articles may help shopify guide to dropshipping and oberlo – how to start a dropshipping business. Or if you are looking for a drop shipping course I read a good review from someone I trust for eComElites, but I haven’t taken the course. Hope that helps and if I can give you any further info let me know. I really like affiliate marketing, especially for new entrepreneurs who are willing to learn and try their hands at building content and sales pages. The reason I think this is a great way to go is because it’s so comprehensive. You start with affiliate marketing, learning seo, ranking content and building a strong foundation to your online business, you can then add email marketing, funnels, pay per click advertising, and so on. The longer I run my online business, the more I realize it’s just a massive funnel that helps people out within my niche, but also is system in place to create online wealth. Some really great info here Peter and I always enjoy your recommended training programs. Yes, for people willing to put in the time and effort affiliate marketing is a great way to earn money online. It’s true you have to learn different skills as you go but as you say we’re here to help and inform people in our niche. That is, I think, the most important point and we shouldn’t forget this. Although we encourage people to click our affiliate links our main job is not to sell. That is the job of the pages our affiliate links lead to. Great to have your input Todd! 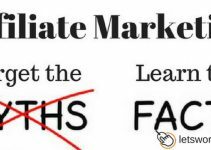 This post covered a lot more information on being an affiliate marketer than others I have read. I’d like to pick your brain with a few questions. You mention that art, jewelry and vision care are unpopular niches. Why? Up until reading this I thought there was a potential audience for all niches given that there are now 4 billion people online. Also, are you saying that the most successful affiliate marketers who make tons of money use expensive ads? Thanks for these pearls of wisdom! Thanks for your great questions. Yes, you’re right you can be successful in any niche. The jewelry, art and vision care niches were the niches that came bottom in a survey of affiliate networks about the subjects of their affiliate programs. They were the least popular topic of programs on these networks but this doesn’t mean in any way you can’t make money in these niches. Some successful affiliate marketers use ads but most start with organic traffic. Knowing how to get your articles to rank in the search engines through SEO and carrying out keyword research are I feel the fundamentals of a successful website. Ads can bring traffic to your site rapidly but I recommend starting with free organic traffic. Thanks, Andrew, glad you enjoyed the post. That’s an important point about the time and effort you need to succeed at this. Most don’t take this into consideration when they start and end up giving up quite quickly. Yes, it’s good to have a plan but as you progress there will undoubtedly be unexpected things that come up or new things you learn that will change your initial plans. Thanks for the detailed overview of affiliate marketing. You definitely hit the spot in all the areas of affiliate marketing for beginners. I try to see affiliate marketing as journal writing to learn and help others make a better decision when it comes to purchasing products within the niche. I definitely agree when it comes to not giving up because too many people give up too soon. The results will not happen overnight because you need to establish trust, authority, and brand on the search engines first to start getting organic traffic. I agree affiliate marketing is about helping people, this may or may not result in recommending a product to help them solve a problem. Helping people leads to trust and once they trust you they are more likely to follow your recommendations. Giving up too soon is a big problem. People expect to make money after a couple of months and when they don’t they give up. Maybe they have been conditioned to expect this from the many articles you can find online, type “I made $1000 in my first month of blogging” or the get rich quick programs. Making money online takes time and I hope people who start affiliate marketing realize this and have the right mindset before starting. I am new at affiliate marketing but I heard a lot about it. Thats why I am planning to do something on it. Though I am working as e-tutor on internet and it is quite beneficial for me as i can do that besides my study. Thanks for this post. I have learnt a lot from this. Yes, it’s worth giving affiliate marketing a try, I’m sure you would enjoy it! If you’ve got a couple of hours a day to spare it would fit in well. I always recommend following an online training program when you’re getting started, it does make things much easier and you will probably start earning sooner. I understand that tutoring probably fits in well with your schedule and you get paid for the help you give. If you do affiliate marketing you can never be sure how long it will take you to start earning, although the potential rewards are much greater.